U is for … ugg boots. 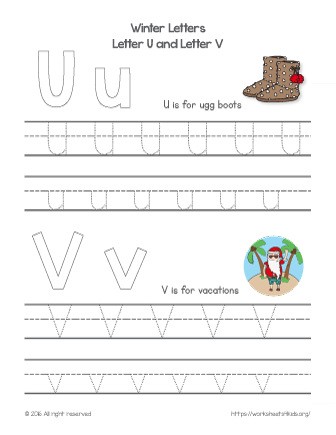 V is for … vacations!Learn to write these letters and explore winter-related words. Make your lesson full of fun this holiday. Colorful winter themed worksheets your child will enjoy. Learn new winter words and get ready to write a letter to Santa.